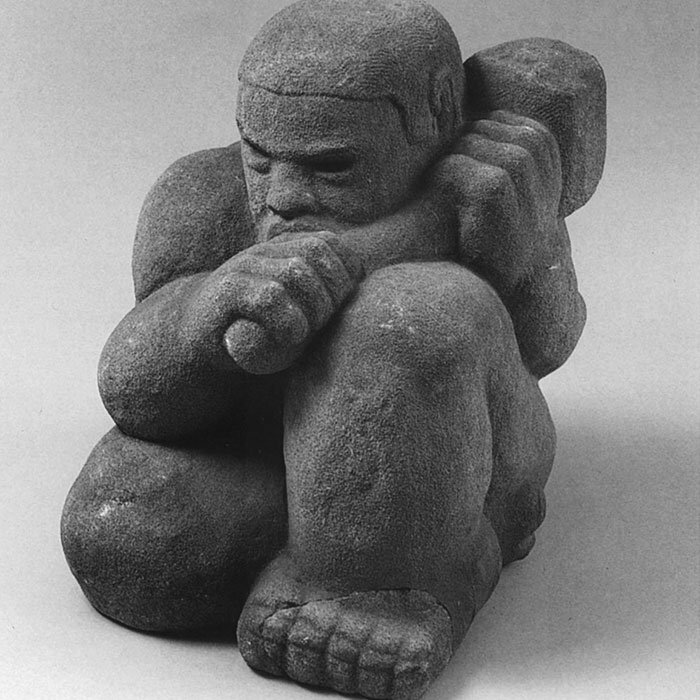 His artistic career started late and ended prematurely, but Marion Perkins left behind some extraordinary sculptures. Born in Arkansas in 1908, he was sent to Chicago to be raised by an aunt in 1916 after the death of his parents. He worked various menial jobs for the Works Progress Administration during the Great Depression and eventually bought a newsstand at 37th Street and Indiana Avenue. While he sold papers, he would indulge his artistic tendencies by carving pieces of wood or stone that he had found; he was always chipping away at something, even a piece of soap. Perkins was welcomed into the community of artists and began teaching and exhibiting at the South Side Community Art Center once it opened. He also began receiving formal instruction in sculpture, and in the early 1940s received a large commission: six statues for the outside of a grand hotel in the resort town of South Haven, Michigan. Perkins dressed the six children he sculpted in the requested Dutch costume, but in a bold move, reportedly gave them African American features. (The sculptures have since been destroyed, and there are no good photographs of them.) The family who commissioned them loved them. Even as he worked manual jobs to support his family, Perkins continued sculpting, often in his yard, from stone or wood scavenged from abandoned buildings. And he began to attract local notice, participating in numerous prestigious exhibitions at the Art Institute of Chicago. 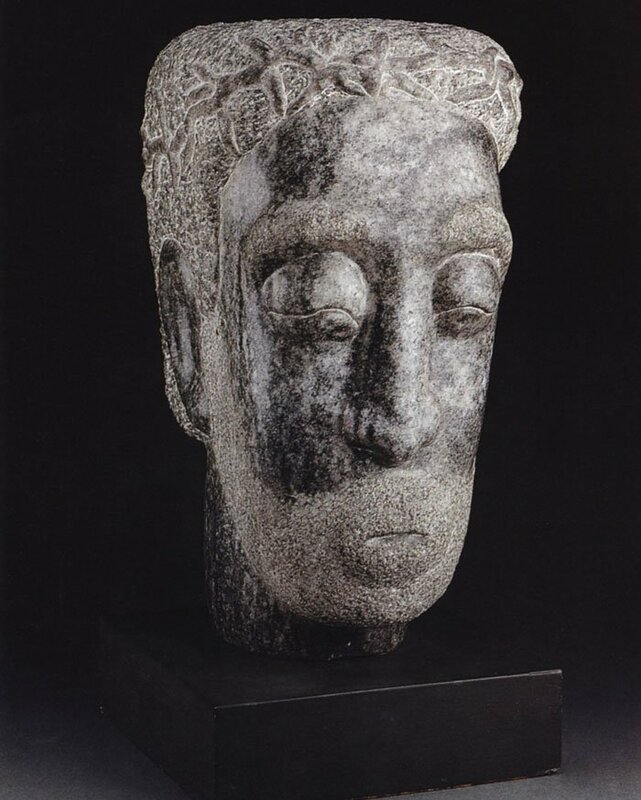 In 1951, the museum purchased his powerful bust of a black Christ, Man of Sorrows. The purchase caused a brief burst of national attention: Ebony and Life magazines both sent photographers to collect images for illustrated profiles, but the Life piece was never published. That was the peak of Perkins’s artistic career. 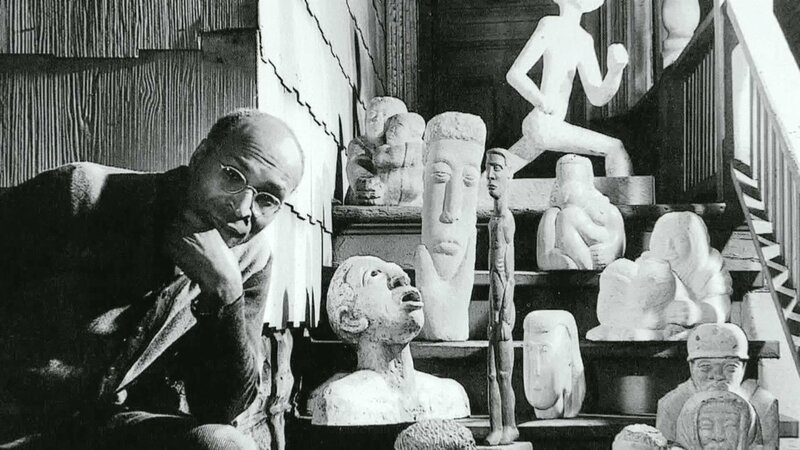 He continued sculpting for the next decade, including a series addressing the atomic bombing of Hiroshima, but he never gained gallery representation or lasting notice, despite warm appraisals by Langston Hughes, Ivan Albright, and others. He died of cancer in 1961. 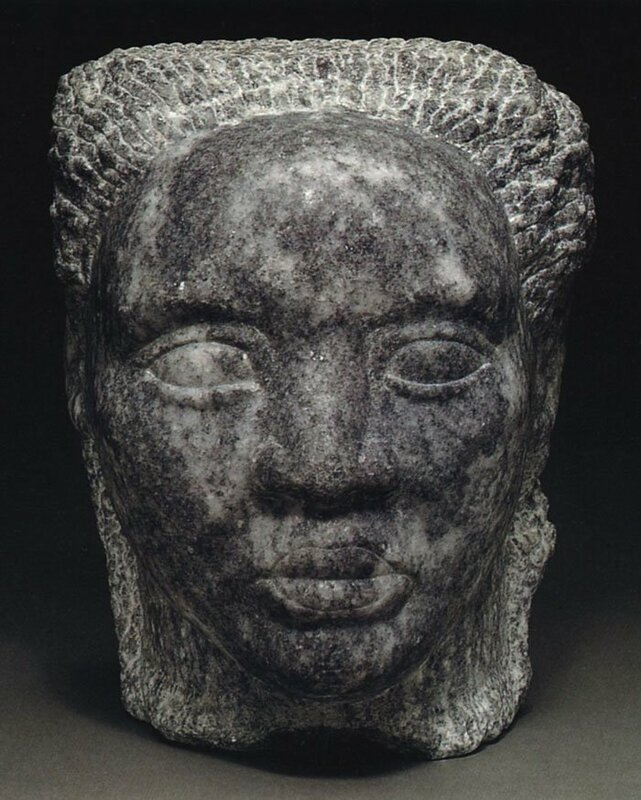 While the DuSable Museum houses some of his works, as does the Art Institute, many have been lost, never given the chance to move the broader public. Watch Perkins’s sons discuss their father’s work and assess what may be a long-lost piece of sculpture by Perkins.